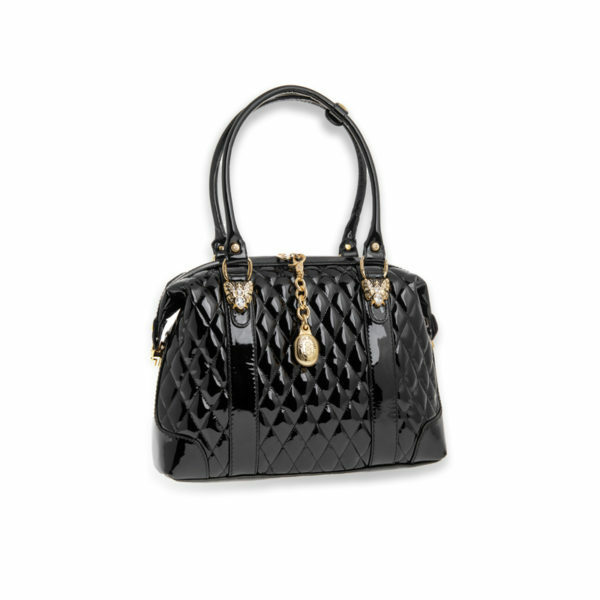 The sophisticated Made in Italy bag is ideal for a chic evening. The alternation of rhomboid motif with vertical inserts in glossy paint gives a touch of exceptional femininity. Due to its size, the marvelous creation of Marino Orlandi is very practical, to always carry with you.